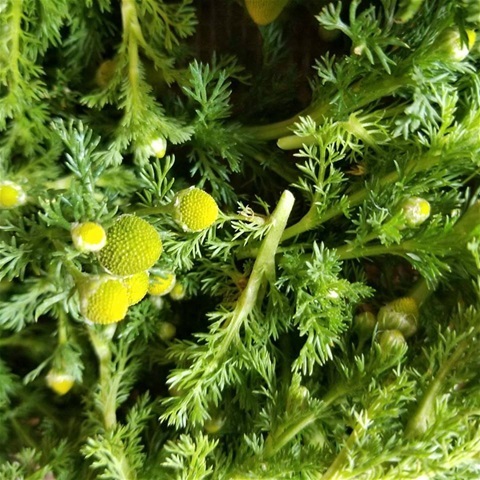 Pineapple weed herbal love!! I'm dehydrating sweet little buds of a delightful herb that captures my heart. Once you gently rub her between your fingers, a sweet pineapple scent pleases my senses. It reminds me of the simple childhood candy, the "dum dum" suckers, and evokes a sense of nostalgia. Often growing in disturbed areas and grow up to about 9 inches. Her soft green and gold goodness makes a wonderful tea, used alone or blended. Often compared to chamomile herb. It is also related to the oxeye daisy and it also offers similar uses to the chamomile sister herb. Used for tea, a smoothie ingredent or in salads. Benefits include acting as a mild relaxant, an anti-inflammatory, and used as tea for a stomach ache, gas and bloating. I've read that it can be used as a bug deterrent, either fresh or dried and rubbed on the skin. Infused in oil and used that way. I have always used it up as a tea. This year I shall infuse her sweetness in an unrefined coconut oil and use it in my tea, on my skin, and as a bug repellent. Always know your herbs, collecting them with integrity, thank them for their gifts, make sure you are harvesting the correct herb and that you are not allergic.